Ok so instead of carrying on manically playing Crypts and Things or even driving OpenQuest into the ground earlier in the year me and my group invested in Pathfinder and since late year as time allows have been running a mini-campaign. 1. 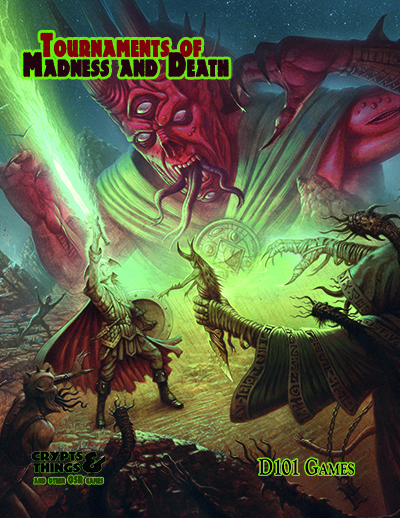 The adventure style is very AD&D 1st ed Dungeon crawl with a setting that is a love letter to a certain “grim and perilous” setting 😉 If I do get round to writing it up I’m highly likely to be doing a Labyrinth Lord write up as well as a PFRG version. 3. Even though I’m a very low crunch GM I’m not feeling too out of my depth. The books are very clearly written reference books, and during play I’ve been using my Netbook to access the Pathfinder PRD. Overall it feels like I’ve got a big friendly beardy DM called Bob on hand at all times, who patiently explains without being judgemental how to do stuff. 4. Even though I’m not using miniatures the game is running just fine. 5. I ran the first couple of sessions completely feat-less for the monsters, which you can get away with at low levels, but I’m now into the swing of it. In away this makes the game a little bit predictable, or push button gaming as my players call it, as both sides of a combat run through their feats to get an advantage. Overall its a fun departure from our usual style of gaming, short focused story driven, where we’ve been kicking back and just Dungeon Crawling the heck out of the adventures.